This is the second in a multi-part series. If you have not read Part 1 yet, you may want to read that part of the Apple App Store trademark saga first. Not long after Apple filed its trademark application, it received a rejection from the U.S. Trademark Office. The reason– you cannot get the trademark “APP STORE” for a store that sells apps. In trademark lingo that’s called a Section 2(e)(1) refusal, which means that the applied for mark has been refused because it is “merely descriptive” of its services. As evidence — and as a possibly unintentional jab at Apple — the Examining Attorney used the definition of “app” from Microsoft’s Encarta English Dictionary. 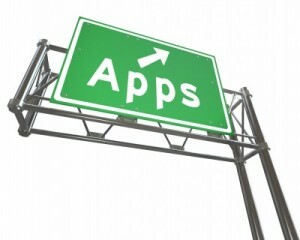 The term “APP” is not merely descriptive. In fact, it is completely arbitrary. . . The term “APP” may, arguably, sometimes be used as a slang abbreviation for the word “application”, but this term has many other incongruous meanings. . . .”APP” is an abbreviation for a number of app-formative words, such as apparatus, apparent, appendix, applied, appointed, approved and approximate . . .
Apple also tried arguing that the term APP STORE is actually a double entendre. The Trademark Office will accept a descriptive trademark which has multiple meanings if at least one of the meanings is not descriptive. Here, Apple argued that it’s mark APP STORE might be short for Apple Store. “APP” will be immediately recognized as an abbreviation of the applicant’s well-known APPLE name and mark, and the mark as a whole, APP STORE, will be immediately recognized as a variant of the applicant’s well-known APPLE STORE mark. Or… maybe “app” is simply short for application. And when you use iTunes you click the button “App Store” to browse and download apps, just like you click the buttons Music, Movies, TV Shows, Podcasts, and Audiobooks to browse and download those items. Well, the Trademark Office wasn’t falling for the idea that “app” could have another meaning to a consumer other than “application” (such as “Apple” or perhaps “appendectomy”). A month later in March 2009, the Examining Attorney issued a Final Office Action, rejecting Apple’s arguments with a much simpler argument. The term APP is defined as “a computer application.” Encarta World English Dictionary [North American Edition]. Copyright 2009 by Microsoft Corporation. (See attachments). The term STORE is defined as “a place where merchandise is offered for retail sale to customers.” Encarta World English Dictionary [North American Edition]. Copyright 2009 by Microsoft Corporation. (See attachments). In this case, the mark APP STORE merely combines descriptive terms without creating a new nondescriptive meaning. The examining attorney respectfully disagrees with the applicant’s assertion that the mark is arbitrary and/or that it creates a double entendre. Basically, what Apple argued was the because of the huge success of its app store, people have come to associate the term app store with Apple. Thus the originally descriptive term “app store” has now acquired “secondary meaning” with consumers. As evidence, Apple touted the success of its app store, the iPhone and its advertising and marketing expenditures promoting both. And the trademark office agreed. Apple’s trademark application was approved under Section 2(f) of the Trademark Act. Due to Apple’s commercial success and advertising efforts the initially descriptive mark had “acquired distinctiveness” or “secondary meaning” with consumers. And that was that. At least temporarily. Next up in this series: Part 3, Apple vs. Microsoft.